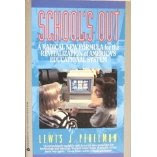 See Ray Kurzviel's Videos by Clicking on the either of the 2 titles below. Netflix prize claimed by international research team. In the span of 3 years, some 40,000 teams from around the world took up Netflix's challenge of improving movie recommendations by 10% over the company's Cinematch engine. And just a day ago, one of these teams has claimed the top prize and the $1,000,000 that go with it. This team consists of the 2007 and 2008 progress prize winning team BellKor from the USA, Austria's Big Chaos team, and Canada's Pragmatic Theory team. Until recently, the teams were competing against each other unable to reach the 10% improvement threshold but they put an end to the competition when they joined forces.Other teams now have 30 days to submit their solutions and outdo the top team for a chance to claim the top prize for themselves; keep an eye on the official leaderboard. Can others do it? Well, you never know so it will be an interesting 30 days.I have to admit that a couple of years ago I really didn't think that this day would come. I was certain that the 10% improvement had been selected by Netflix to prevent people from ever claiming the million dollar prize. 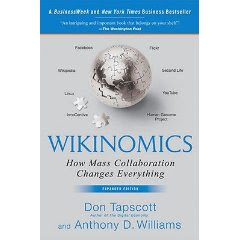 I guess, I was wrong after all.That said, I am currently reading Don Tapscott and Anthony D. Williams' best seller Wikinomics: How Mass Collaboration Changes Everything and I think the Netflix competition would make for a great story for this book. 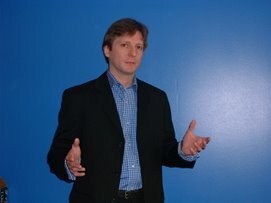 It is yet another example of how computers and the Internet allow thousands of people across the globe to collaborate effectively and efficiently to solve problems at a fraction of the cost of a single corporation doing the work in house. I don't know how much money in Research and Development Netflix will save from this competition but I suspect they stand to make a lot of money from the 10% improvement in recommendation accuracy. They will certainly make back the prize money in no time (if they haven't already considering that improvements over 7% have been achieved by many teams over the course of the last 2 years). Kudos to the teams for their achievement and kudos to Netflix for taking a chance most corporations would never dare take. 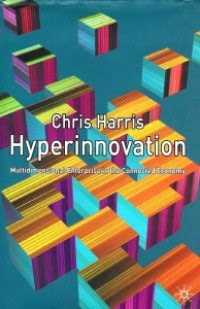 Chris Harris' thesis in Hyperinnovation is that the business world is interconnecting in every conceivable dimension from ideas to technology to markets and even entire industries. As a result, the boundaries between once disparate business concepts are increasingly multi-dimensional. This demands a complete rethink in terms of strategies, cultures, organisations and methodologies to bring about innovation. He goes on to discuss how uncertainty is not just an occasional deviation from predictability. 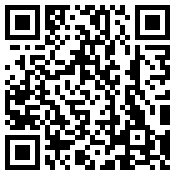 It has become a common feature of the business environment. 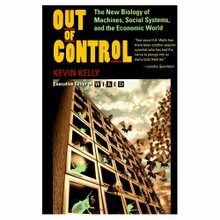 Complexity is an underlying theme of the book and the definition of complexity science is given as the understanding of how a collective of large numbers of interrelated agents behave as a whole. 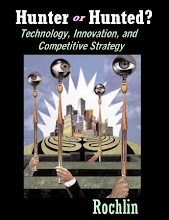 In Hyperinnovation, he has put forward three principles of hyperinnovation. 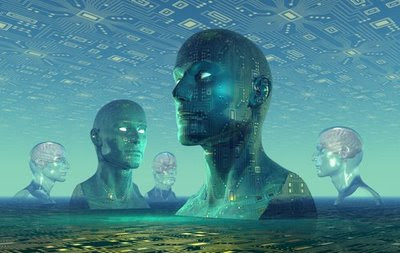 The first principle is that the potential for hyperinnovation is proportional to the number of the meaningful interconnections between agents. He explains this with an equation that says that the number of possible (meaningful or otherwise) interconnections is half of the square of the sum of agents in a network so that 10 agents in a network would have 45 possible interconnections. Chris Harris describes the payoff as being the increase in the number of innovation possibilities.